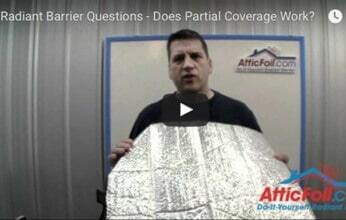 Welcome to our video FAQ series where AtticFoil™ owner, Ed Fritz, answers Frequently Asked Questions about radiant barrier foil. 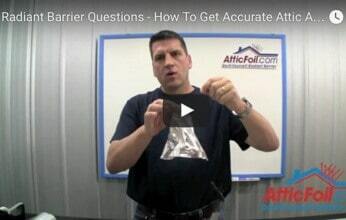 Many people are learning about the year round benefits of adding a green energy barrier like AtticFoil™ to a home or building and with that comes a lot of questions. 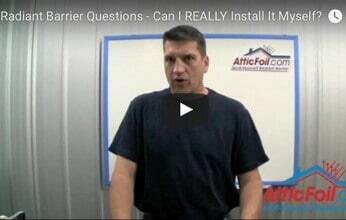 Ed, the Radiant Barrier Guru, addresses some of the most frequently asked questions we receive here at AtticFoil.com. If you have a question you’d like answered that you don’t see here, take a look at our FAQ page or submit your own question. Click on an image below to view the question and the video response. Question: I have two thermometers in my attic but one is always reading about fifteen degrees hotter than the other. When I bring the thermometers inside, both read the same temperature. What is going on? Question: I’m installing AtticFoil™ radiant barrier using the staple-up method. How much of a gap should I leave at the tops and the bottoms of the foil to allow for proper ventilation? 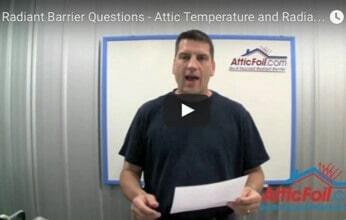 Question: Will AtticFoil™ radiant barrier still be effective if I can only cover part of my attic space? Does partial coverage help at all when installing radiant barrier in an attic? Question: How much cooler should my attic be after installing a radiant barrier?